Pure religion in the eyes of God is to help the widows and orphans in their distress. 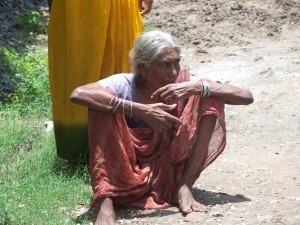 (James 1:27) That is what you are doing when you choose to sponsor a widow! When you initially sponsor a widow you will receive a picture and her profile. Most importantly, Krupa gives them a sense of belonging, of being part of a loving Christian environment where they are cared for and cherished. This is a great opportunity for children and grandchildren to learn to do what God calls us as believers to do. It’s a great way for your small group, Sunday School class or youth group to take care of widows too!